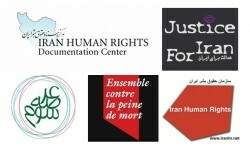 (10 October 2012) – Today, on International Day against the Death Penalty, groups dedicated to human rights issues inside Iran and the cessation of the death penalty have called for a moratorium on international funding to Iran’s anti-drug trafficking programs until such time Islamic Republic of Iran renounces its policy of execution for those convicted of drug-related offenses. The full text of the letter calling for the moratorium can be read here. The Farsi version of the letter can be read here. According to reports from human rights groups that document executions in Iran from both official and unofficial sources, roughly 650 executions were carried out in 2010 and 670 in 2011. So far, in 2012, at least 330 individuals have been executed. Of these executions, it is estimated that more than 70% are of individuals sentenced to death under the Islamic Republic’s Anti-Narcotics Law, which mandates the death penalty for a wide range of drug-related offenses. 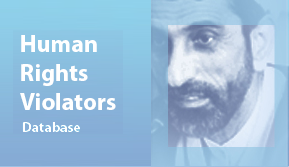 The letter—which is jointly signed by Justice for Iran, Iran Human Rights, Iran Human Rights Documentation Center, Arseh Sevom and Ensemble contre la peine de mort (ECPM)—addresses its concerns to the United Nations Office on Drugs and Crime (UNODC) and country donors including Norway, Canada, the UK, France, Germany, Poland, Belgium, Ireland and Japan which provide funding to the Islamic Republic’s anti-drug trafficking programs. 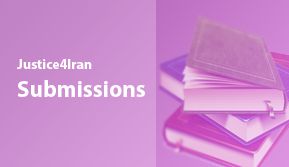 While human rights groups have raised concerns to the Iranian government about the mandatory death sentencing for drug-related offenses, the Iranian authorities have failed to respond to this criticism in any meaningful fashion. The letter calls on UNODC and donor countries to stop funding the Islamic Republic’s anti-drug trafficking programs until the Islamic Republic ceases its application of the death penalty to those convicted of drug-related offenses.